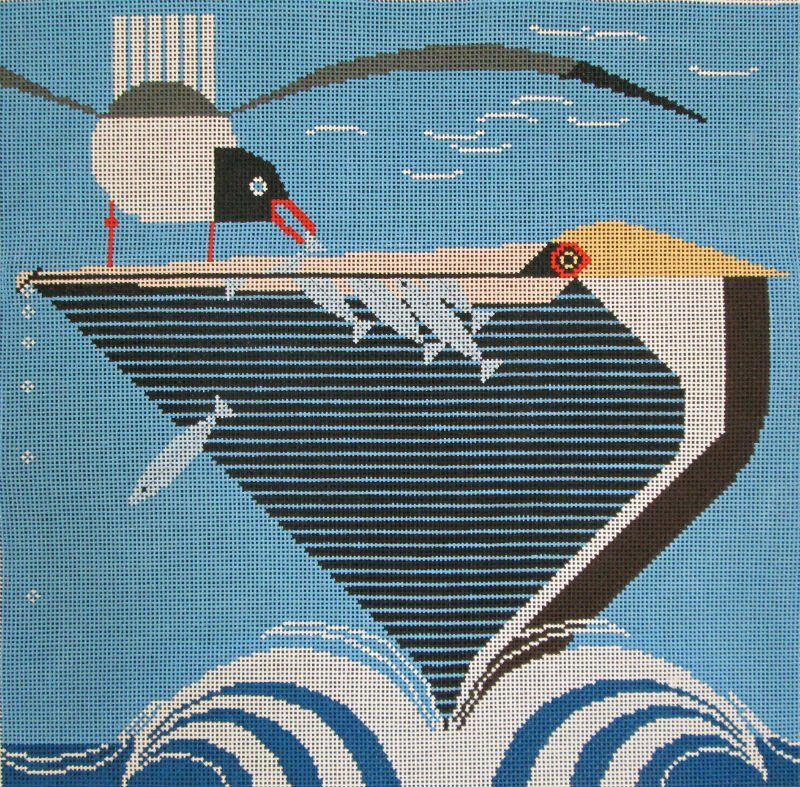 This Charley Harper pelican needlepoint design is hand painted onto 13 mesh Mono Zweigart needlepoint canvas and would make perfect beach house needlepoint decor. The design area measures 14" x 14". Pelican Pantry is sold canvas-only or with threads. We can kit this Charley Harper handpainted needlepoint design for you with wool or silk threads. We use Planet Earth fibers which are designed for a 13 mesh canvas. See the prices in the drop down menu. We recommend two pair of 17" stretcher bars to keep your needlepoint taut while you stitch. Pelican Pantry Charley Harper handpainted needlepoint canvas usually ships in a few days. You can always check availability before you order.